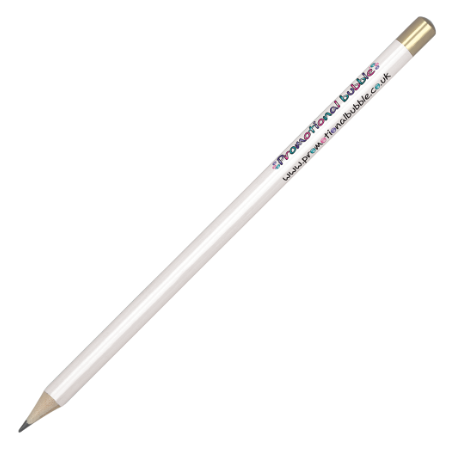 Promotional pens or pencils with your logo get you the most impact for your brand. We print pens in house and can offer a range of blanks to choose from in a wide range of colours. The most popular pen (above) is the ‘Contour’ – a push button black ink ballpoint pen specifically designed for digital printing that writes beautifully. The print area is 8mm deep x 58mm wide. At present we print any colour onto white pencils only. These are triangular making them very easy to use at any age.